Welcome to the family, Joey Pomerenke! 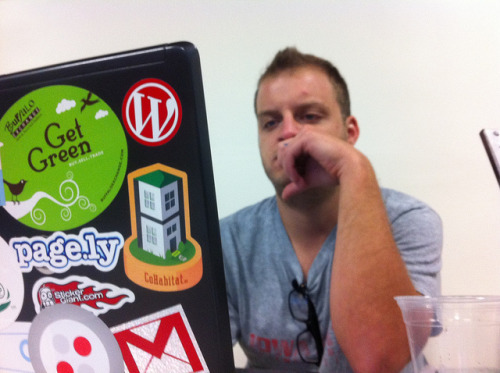 Blink and you’ll miss it–Startup Weekend is growing by leaps and bounds. All of us in Seattle are excited to welcome start-up veteran and marketing guru Joey Pomerenke. Joey first collaborated with the Startup Weekend Directors back in November of last year at a Dallas event and the rest, as they say, is history. Joey is our resident Texas expert, he’s facilitated Startup Weekend events in Austin and Dallas as well as Charlotte (what, what North Carolina!) and he’ll be facilitating events in Denver and Houston in the coming months. The plan is for Joey to join the Seattle-based crew early next year when he’ll be focusing his efforts in Event Management and Marketing. Welcome on board Joey!